Trust me, I've been there too; traveling halfway around the globe to say our 'I dos', I know as well as anyone that not only is this your special day, but you have one shot at preserving some beautiful memories that will last a lifetime. But, no, I'm not your photographer. Instead, what I offer is a unique perspective captured on medium format film using cameras that were built a good few years before I was even born - and I'm getting on (I'm 37 this year!). For me it is about slowing down and observing those quiet, unseen moments that can so often be overlooked. More than that, if photography is language, then film photography is poetry. This is about capturing the essence of a moment in film and preserving it forever. It's about crafting something physical and real, and creating from your celebration of love not just a photograph, but a piece of art. I will work independently of your chosen photographer, but I will work with them to ensure that not only does your day run smoothly but that the images you want are captured. Each roll of film takes just 12 shots, so I will work slowly but methodically to ensure that what I capture is a snapshot of your day. I develop the film myself and scan the negatives to create digital files and will provide anything from six, ready to be framed images on museum quality paper using one of Australia's premier printers. Just remember, unlike a lot of digital photography, there will not be hundreds of images! To find out more about my process or how I can help you create some unique memories, please feel free to get in touch. A little digital photography never hurt, mind! All images Ben Robson Photography. Far be it from me to tell you what to do on your wedding day! However, if you're still undecided, or are looking for inspiration, I cannot recommend Big Bright Photos highly enough. Kylie is one of the most talented photographers going around and has a wealth of experience. 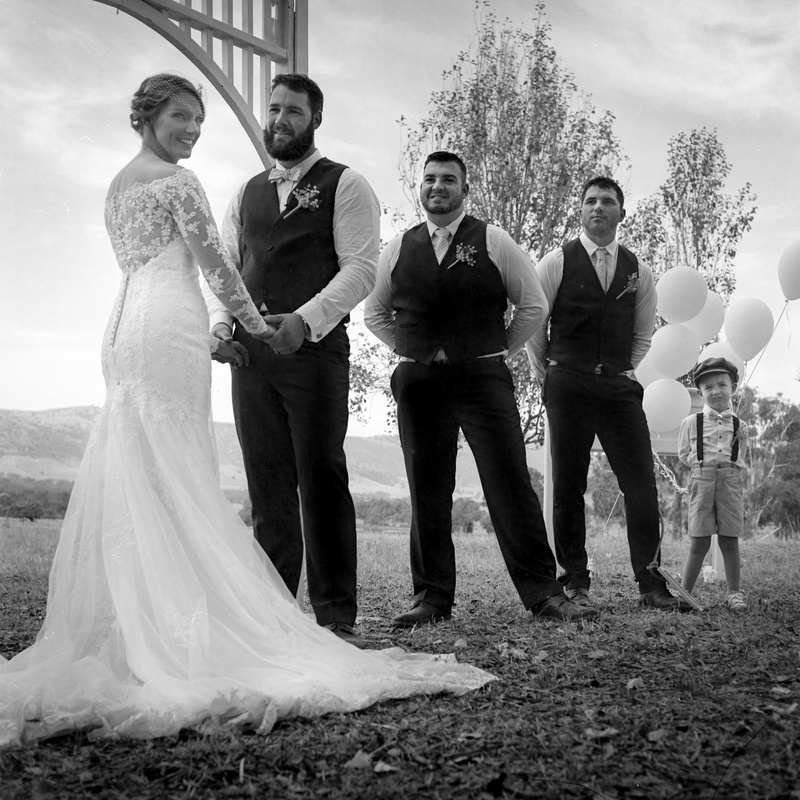 With a degree in photography and a stack of awards as a news photographer, she is also one of the region's top wedding photographers who offers a friendly, relaxed and stress-free approach to your big day. Please check out her web site below! We are truly spoilt in Albury Wodonga to have such great photographers. I've known John for nine years and in that time I've never known him to take a bad photograph. Formally trained with a degree in photography and moulded by 20 years of industry experience, John delivers quality in a fun, friendly and professional manner. His work has been published in Time Magazine and Australian Geographic to name but two, and he has won a swathe of industry awards for his awesome work. Do check John out for all your photographic needs!